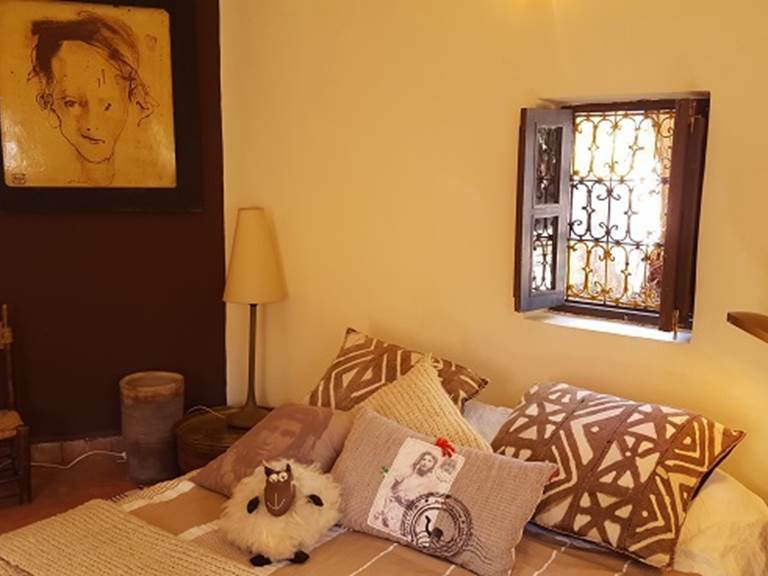 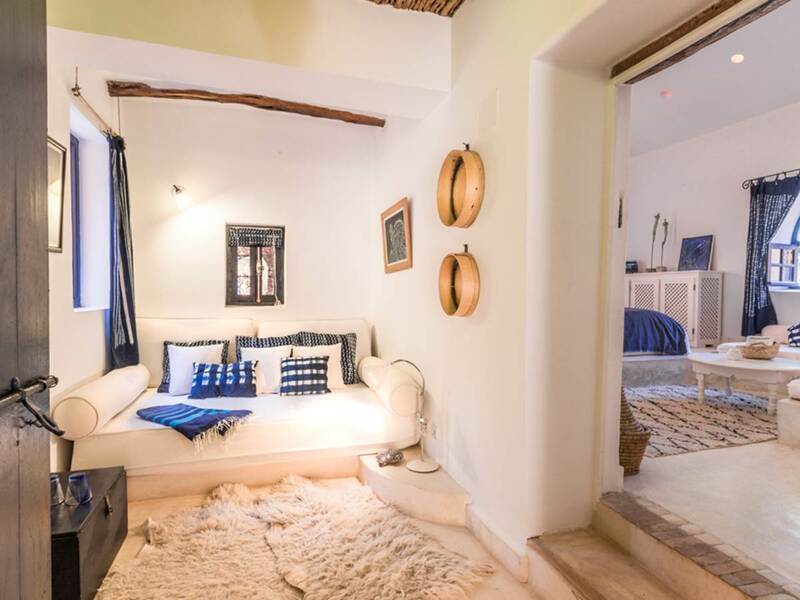 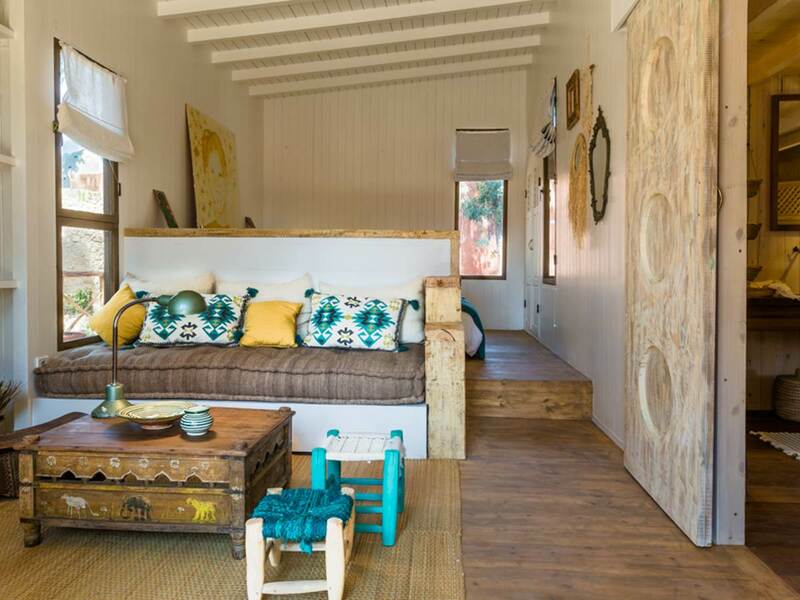 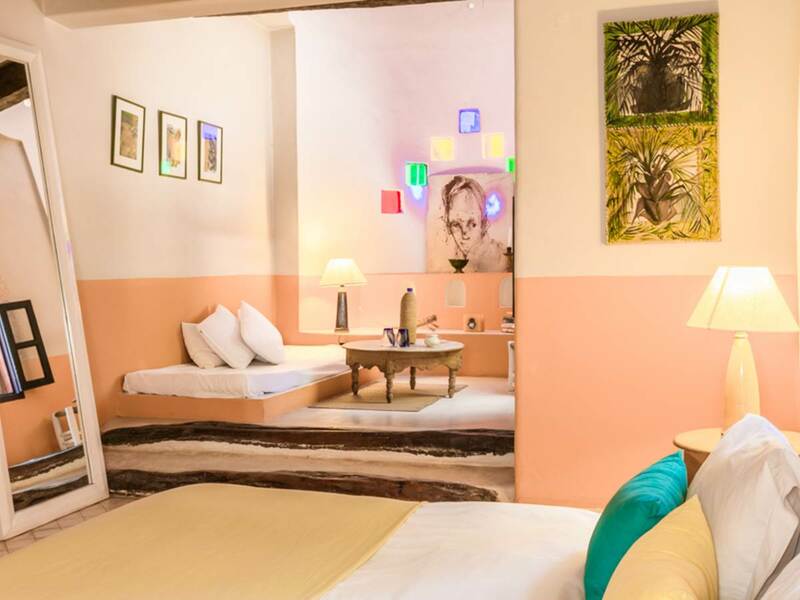 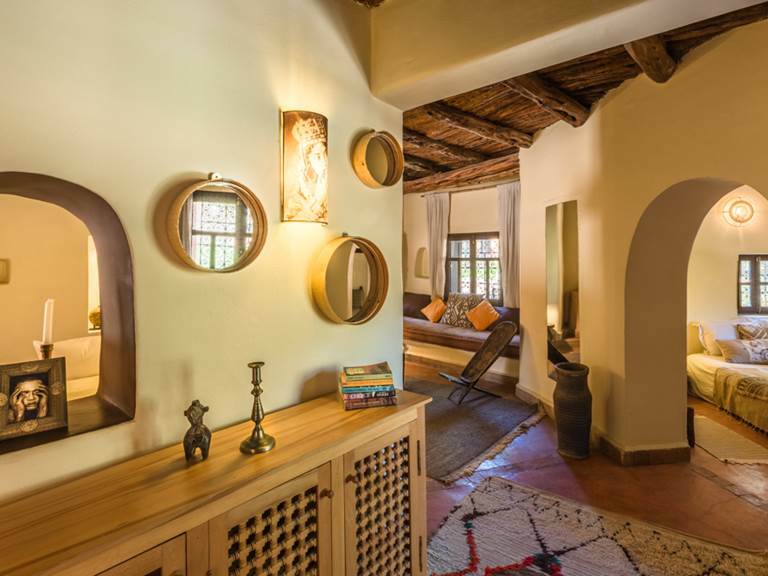 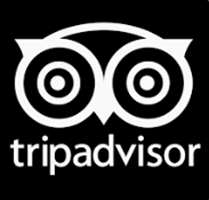 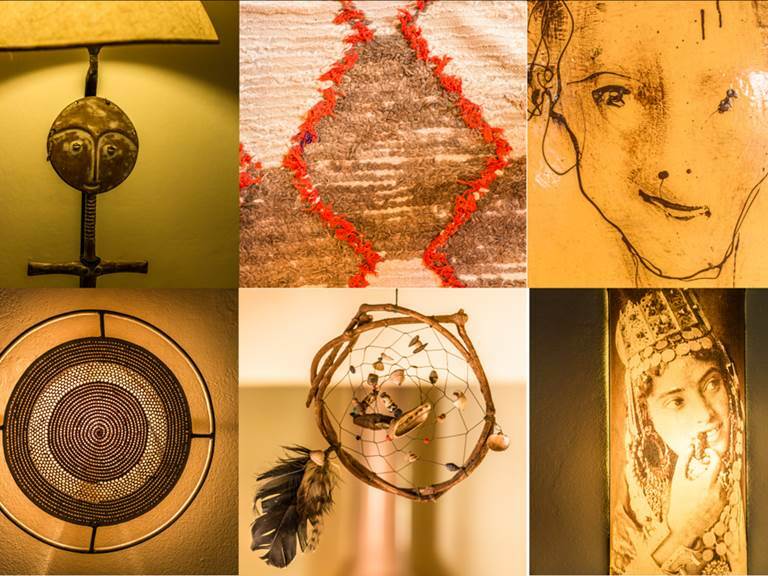 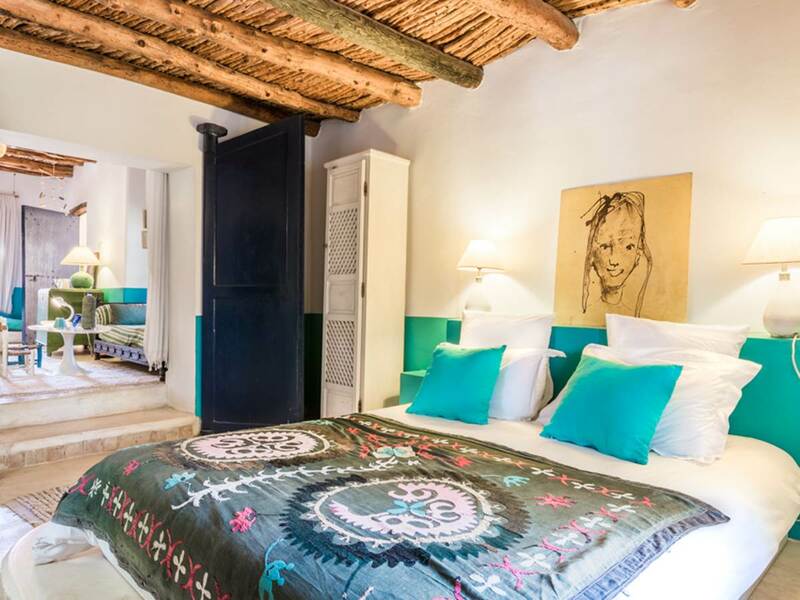 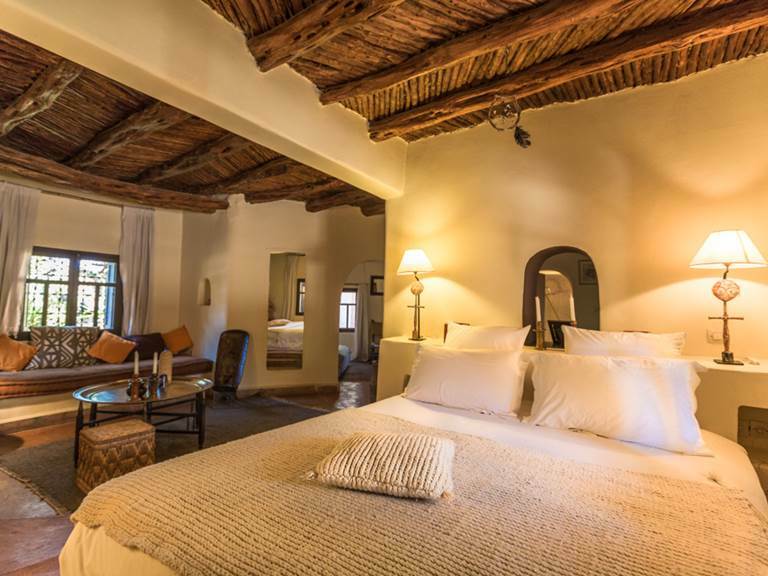 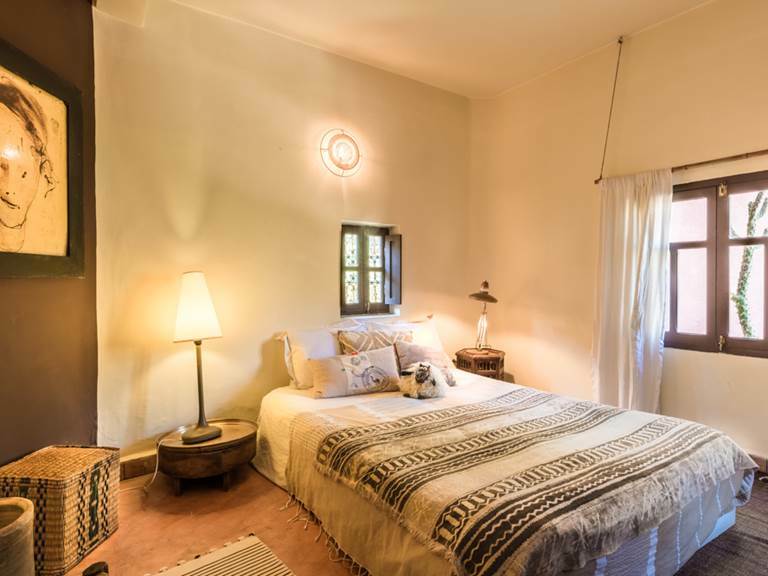 This large and comfortable suite has an eclectic mix of African charm. 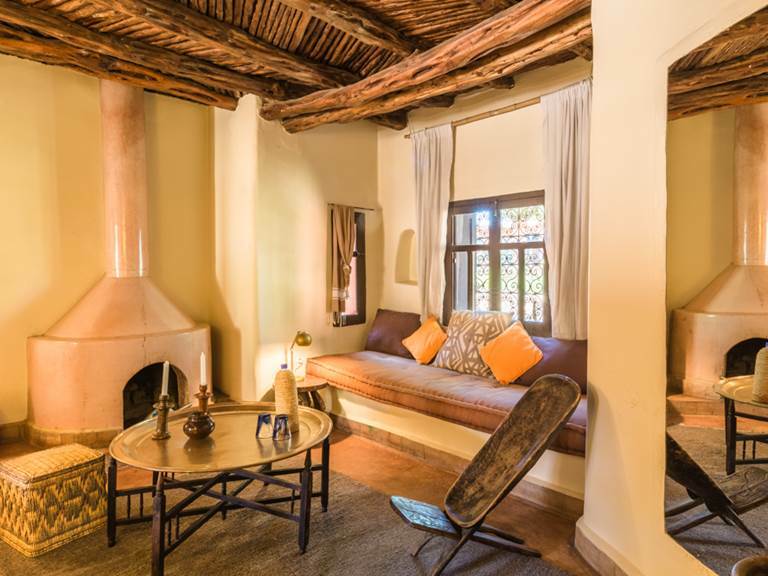 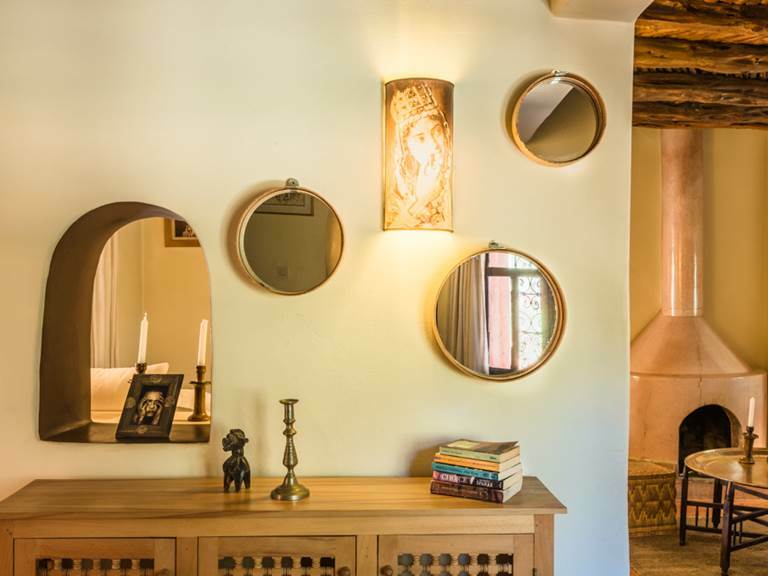 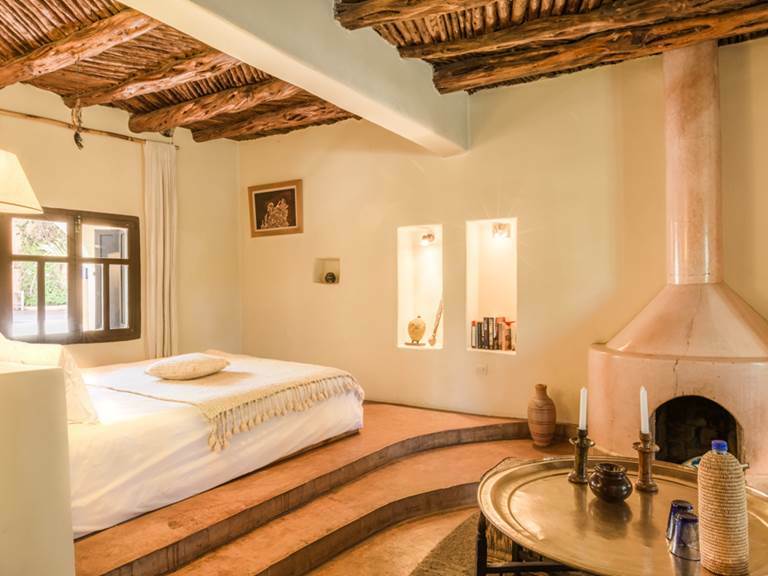 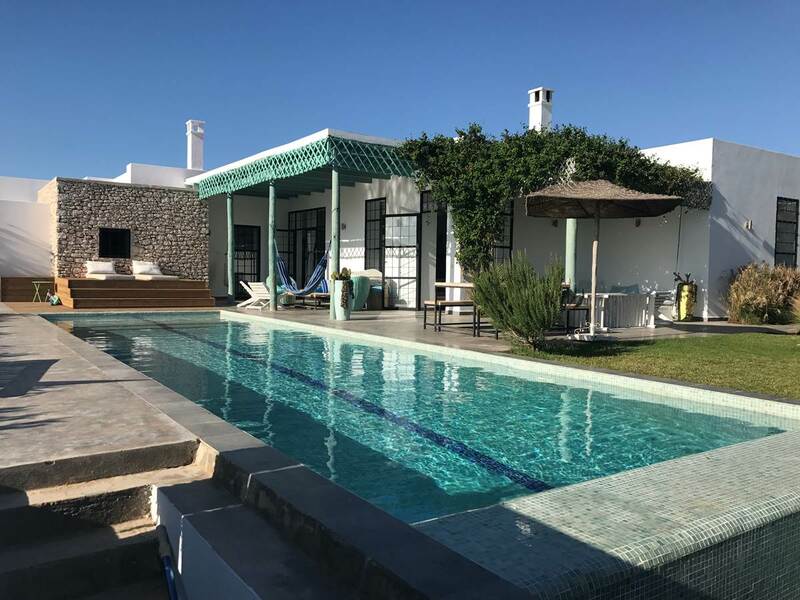 It overlooks the courtyard and has two sleeping areas one with a double and one with a queen bed in the larger part of the suite with a traditional fireplace and sitting area. 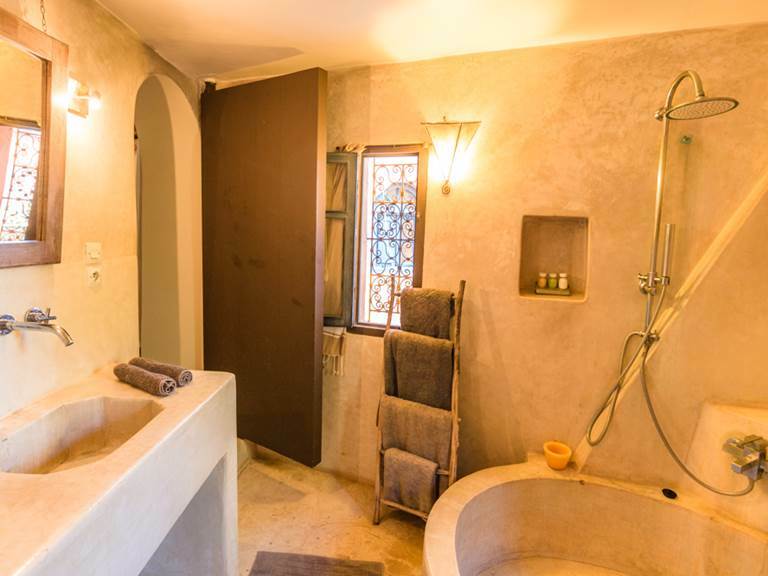 The bathroom has a double vanity unit and a tadelak round bath with shower.